Properties in Frogn average 4 out of 5 stars. Property 13: Amazing view, New Modern Funkis Beachhouse. Cozy & Jacuzzi, only 40 min to Oslo. 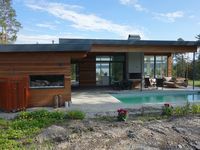 Funkis beach house with fantastic view to Oslofjord, relax in the jacuzzie. 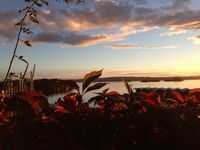 Property 14: Funkis beach house with fantastic view to Oslofjord, relax in the jacuzzie. Odins gt., Cozy, quit and fully equipped. We had a great stay. Would definitely rent it again. The apartment was great! One thing to keep in mind...there is quite a hike up to the house. We had no problems,but keep this in mind should you want to rent. Nicholas also showed us a walk through the forest to the train station and grocery store. The train was easy to navigate and we ride it many times. His notes at the house were very thorough. He had the correct train and bus numbers and gave us the name of a great local restaurant. Nicholas is a very gracious host. I would definitely stay there again.